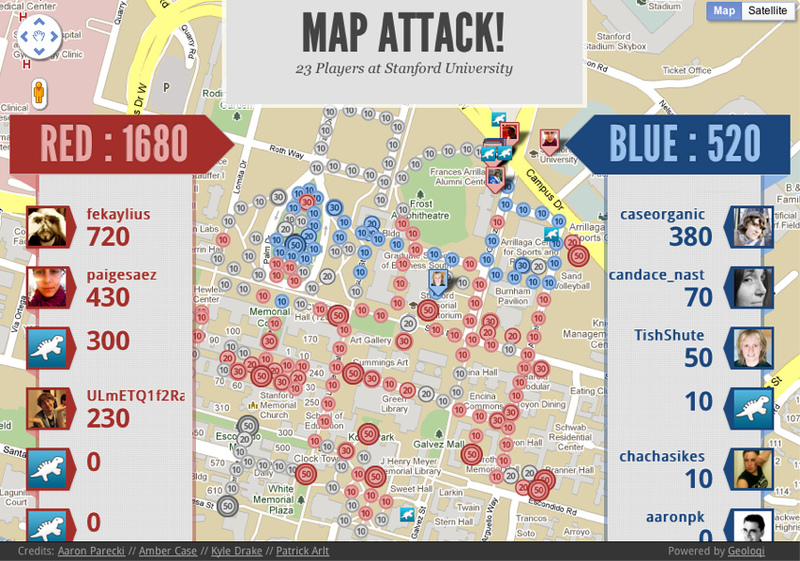 Overview of this Sunday’s MapAttack Game in Ladd’s Addition! 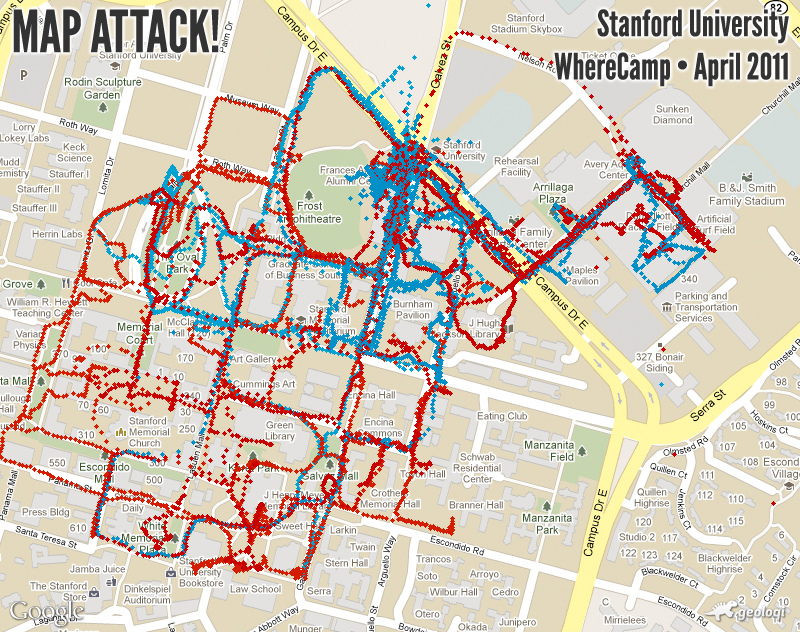 Last Sunday we invited 12 people participate in a game of MapAttack. 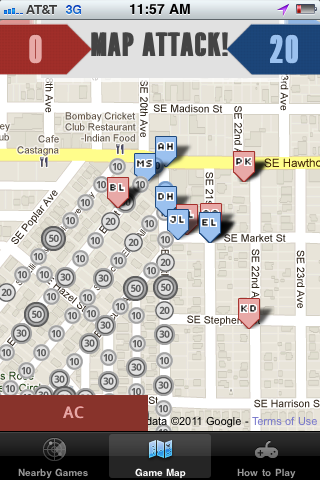 We hosted the gamemap in the curiously-shaped SE Portland neighborhood called Ladd’s Addition. 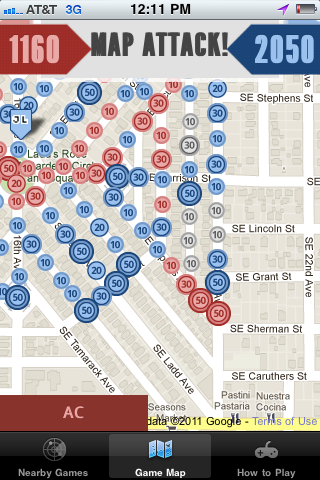 Created in 1891, it is one of Portland’s oldest planned residential districts. 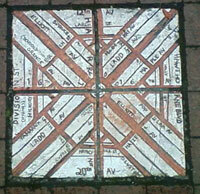 The neighborhood is known for its diagonal street pattern, which made it the perfect place to set up a test game. 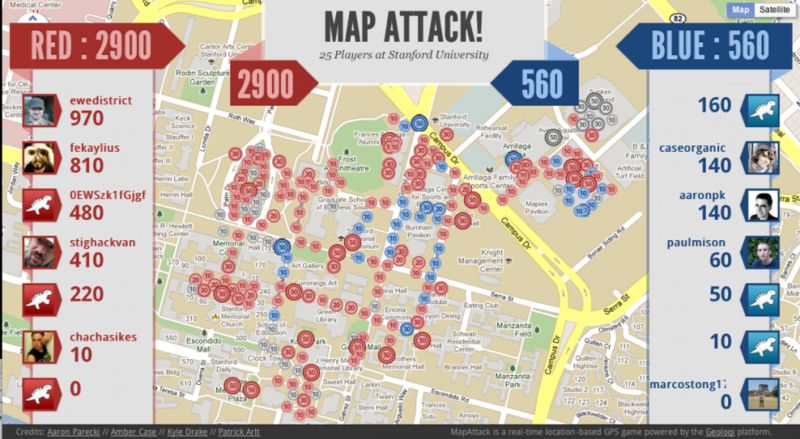 MapAttack is a game of real-time strategy built for real life. 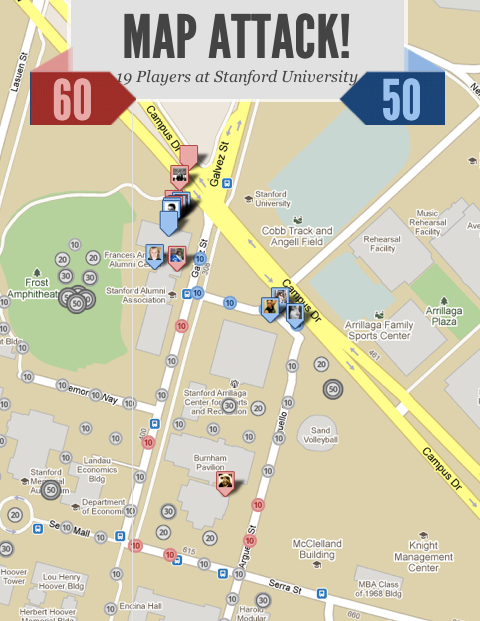 Virtual geofences are scattered onto the map and players must physically go to where they are on the map in order to capture them. The winner is the team that captures the most points. 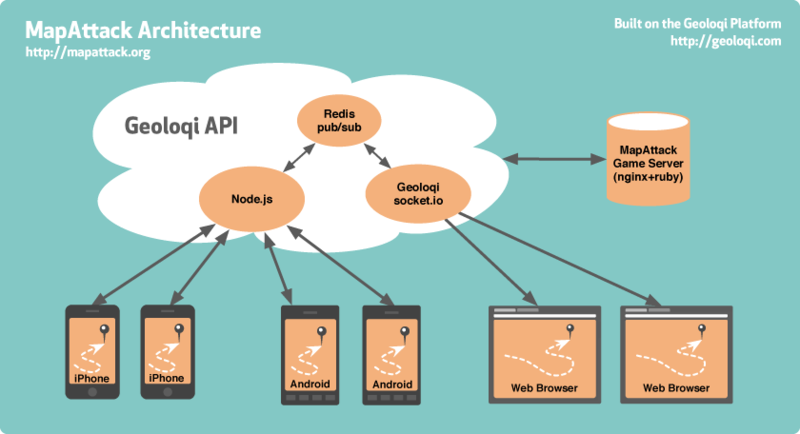 We built the game on the Geoloqi platform. 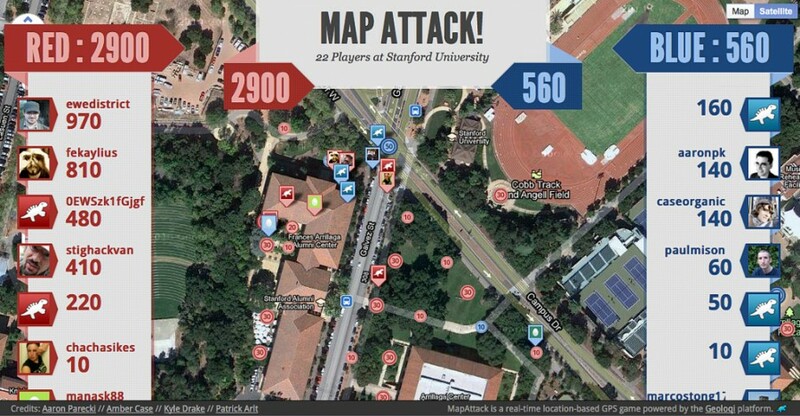 The idea behind MapAttack! is to be able to play in real life and to feel like a kid again. Suddenly everyday life becomes brighter and more intense, and you don’t care that you’ve just run 5 blocks because there’s a point up ahead that you have to catch before the guy on the other team does! The twelve players got a custom build of the MapAttack! game on their phones, were automatically assigned to red and blue teams and huddled together to plan their strategy for picking up the dots. The blue team started out with DH and AH in the lead running at full speed town the diagonals of Ladd’s Addition. 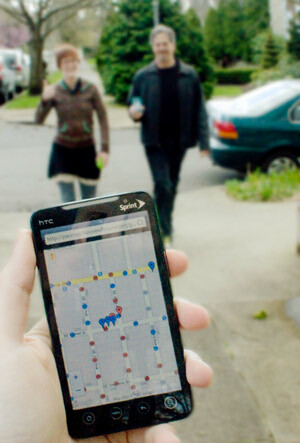 As the other players joined in, everyone could see each other running in real-time on the map on the maps on their phones. 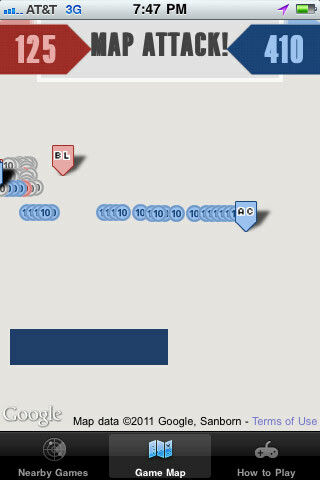 The game became a sort of Marauder’s map where you could plot your next attack based on who was heading towards each point. 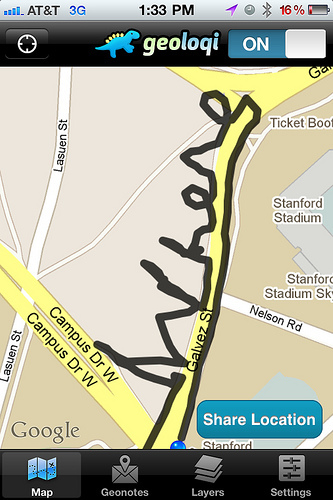 After about 20 minutes, the players on the map began to slow down, and we joined up with each other to walk back to the starting point. Some of the players were still running at full speed trying to get the rest of the points. Some were tired and met up to watch the game in progress on their phones. Aaron Parecki, the game moderator, sent some messages to us throughout the game egging us on. 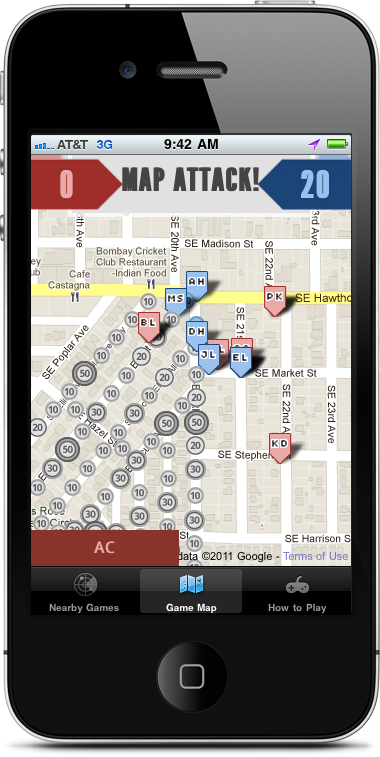 “Is the Blue team going to let the Red team capture those points near Lincoln Street?” read one of the push notifications. Almost immediately, we saw members of the Blue team rush over to try to capture those points. Each player had a different plan of action for capturing the points on the gameboard. Some ran at top speed, trying to get to the highest value points on the board. Others strategically chose routes with the highest point values and gathered points that way. In the end, we were all exhausted. Most of us hadn’t run that fast since we were kids. 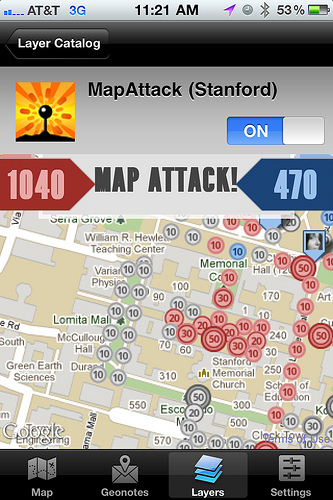 Many of the players had never played a real-life mobile game before, and MapAttack is the first of its kind. 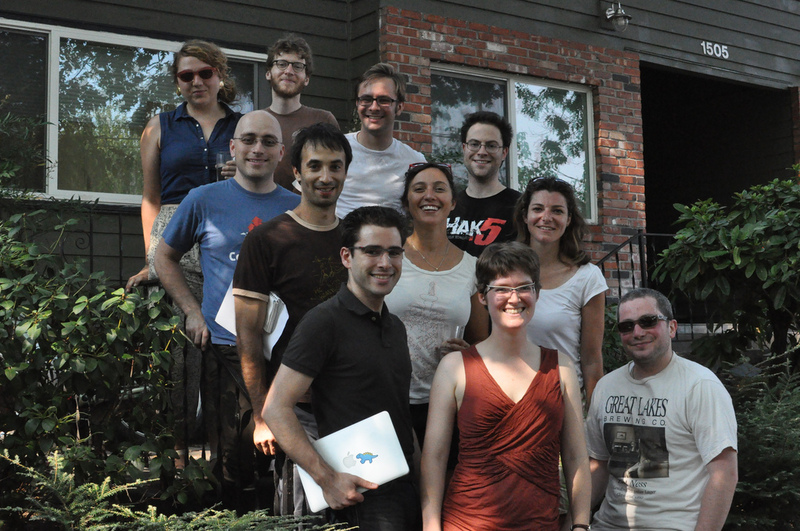 The twelve people that played the game had a great and exhausting time. We ate a bunch of fresh fruit and relaxed afterwards. It was a great game for a hot summer day. 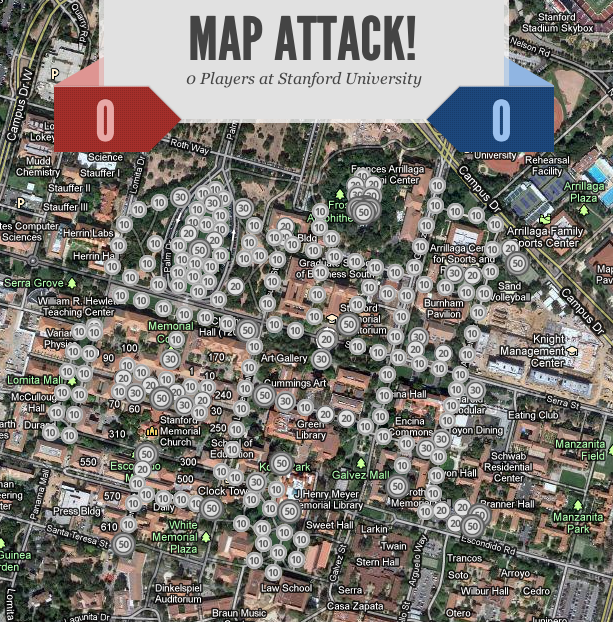 We built MapAttack on the Geoloqi platform in order to test the platform’s real-time location and our new ability to rapidly detect which phones were in small, accurate geofences. 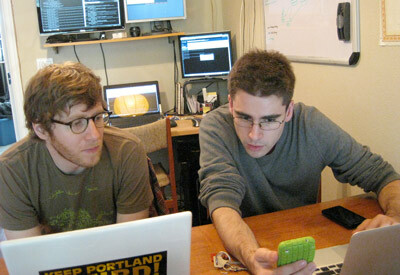 This was the first test of the game in a real-time server environment. That meant that everything on the phones and on the web moved as if they were moving in real life. 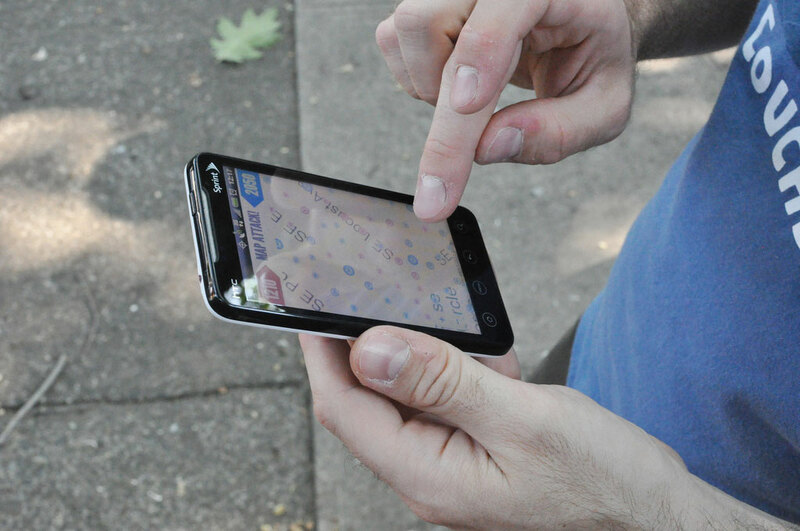 The new code actually allowed the phones to update their location in real-time to the map with a minimal drain on battery. This was the first time we put it all together for a seamless player experience. 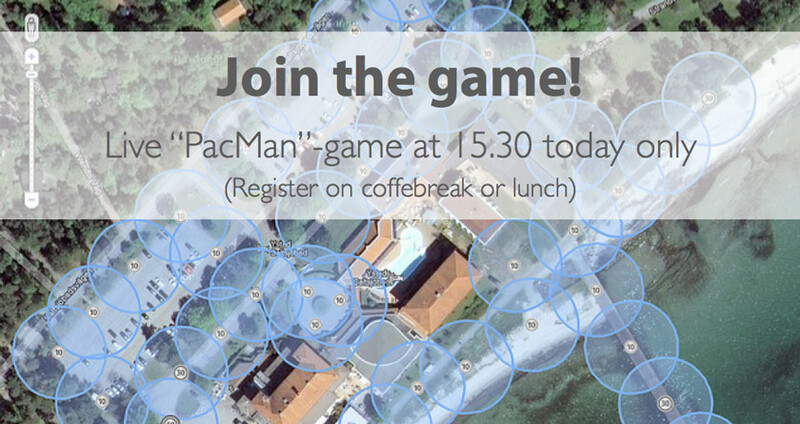 Want to bring a game to your school or company? 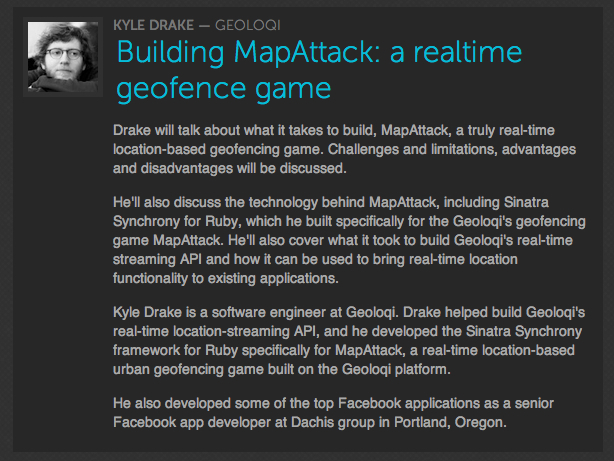 Contact us at mapattack at geoloqi dot com and we’ll be glad to help you out! 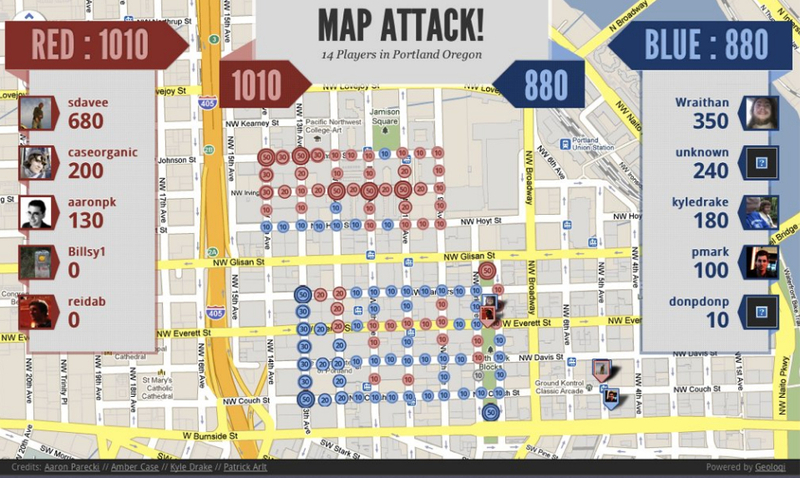 You can also follow @playmapattack on Twitter for the latest games and news! We’ll be bringing it to more campuses and cities starting in Sweden this week! 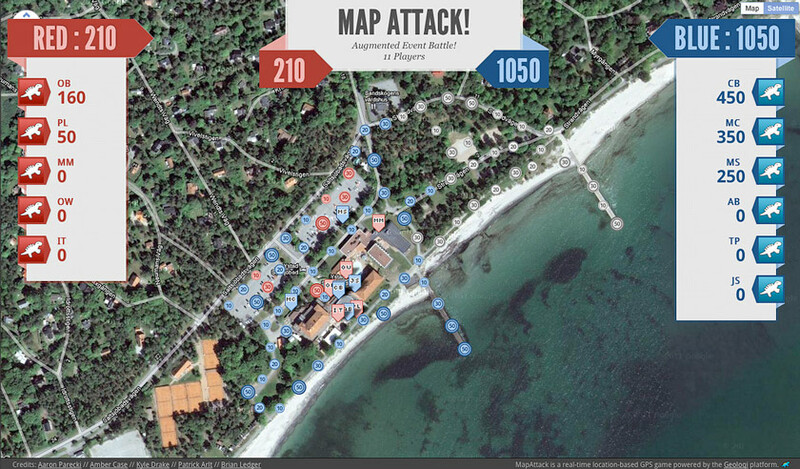 You can also visit MapAttack on the web at http://mapattack.org/.